The center is now complete and I love it, I think I like it better all by itself than the center of the big rug. What to do, what to do? It's been fun to see these old styles again. I feel like I'm lost in episodes of Kojak and Barney Miller! Beautiful -- and what a great idea! Wow! but I don't think I could walk on those wonderful ties. I would have to have a hanging or a quilt. The piece is gorgeous! Great job. I like how you did the center! Looks terrific! Love the center! Thanks Tudorc, It is not finished yet, I still need to tweak somethings before I can attatch the center circle. I need to decide what the center, center will be too. Wow! 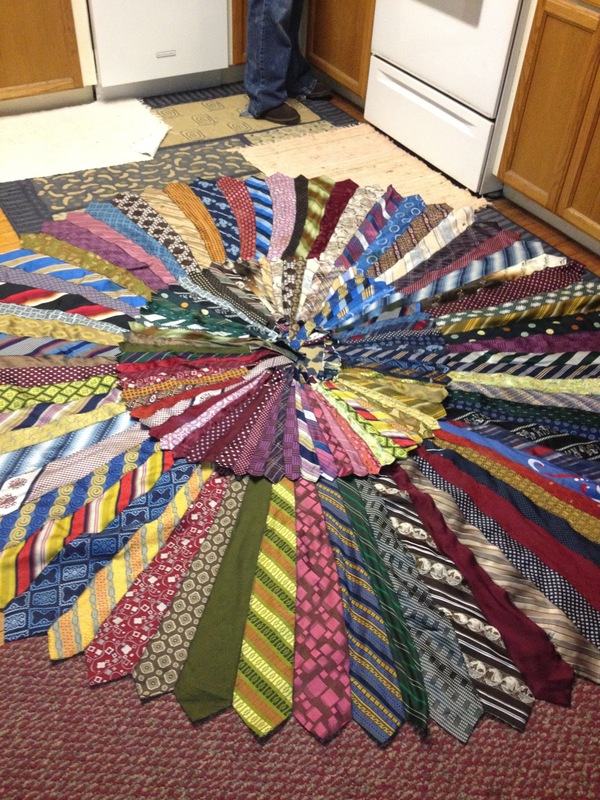 Those ties make a huge circle. 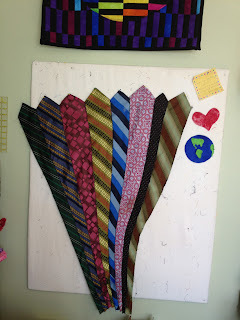 What a fun project and a great gift. Kris this is only 70 of them. This thing is huge... 7-1/2' across. 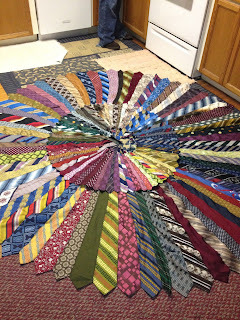 I have been using ties to make quilts for some time, but have never considered a tie rug before. I love the way your's look, beautiful. My question is -- do you really plan to walk on them? If so, what kind of batting are you using and what to put on the backside to keep it from slipping around. I have many years worth of ties collected, so this would use them up more quickly. Love it. Dar you ask very good questions! 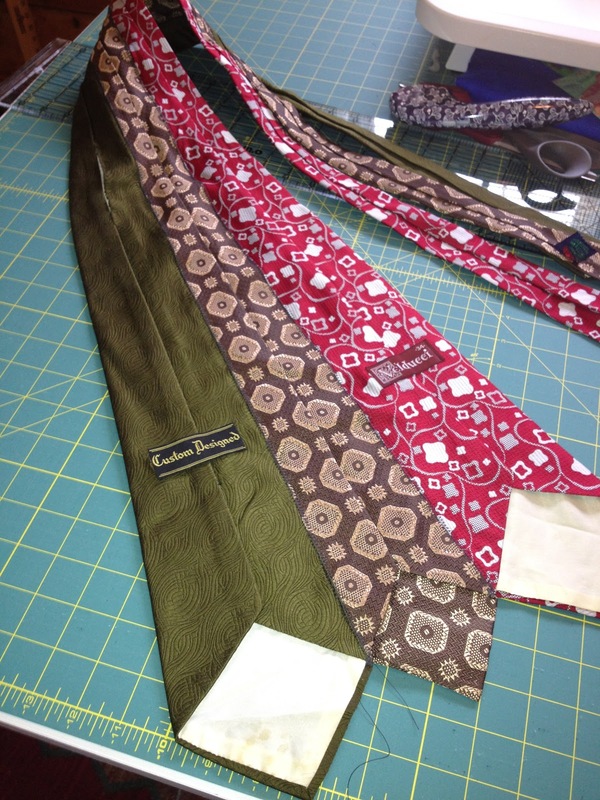 Ties,as you know,are not the easiest to work with. I was hoping that just the weight of them would make the rug stable enough but I dont think that will be the case. 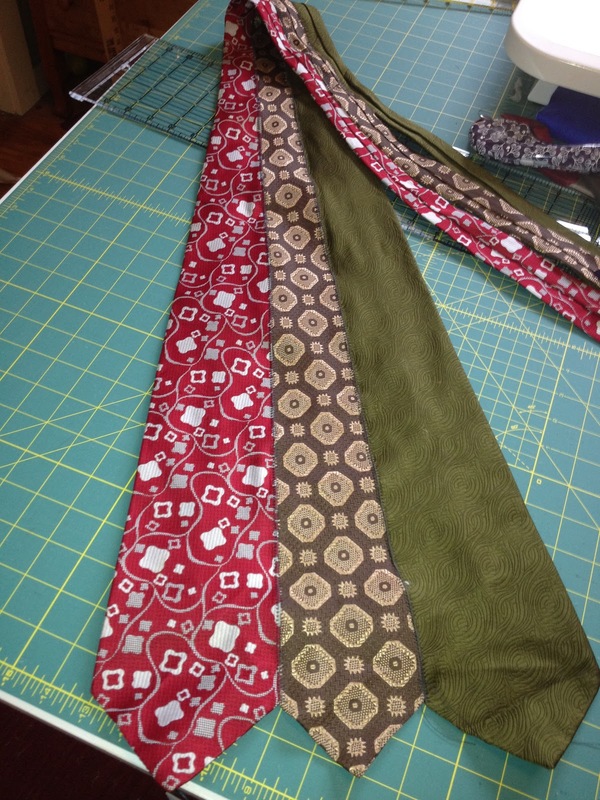 I will probably double batt the center hole and then cover back with some muslin and then stitch between the ties. It's going to be very heavy and a real challange to sew on the machine. I may have to hand stitch the backing on. I would love to hear any ideas that you have, this is a "fly by the seat of my pant" project. Colorful, big, and beautiful! 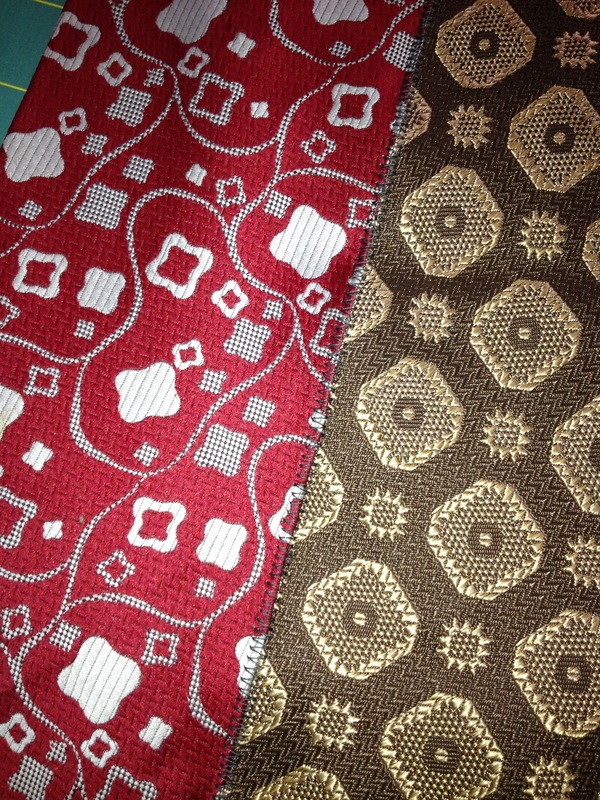 I don't know exactly how big it is, but could you use it as a decorative tablecloth instead of a rug? 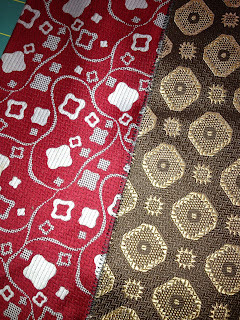 Or maybe a Christmas tree skirt? Wow, Looks great. 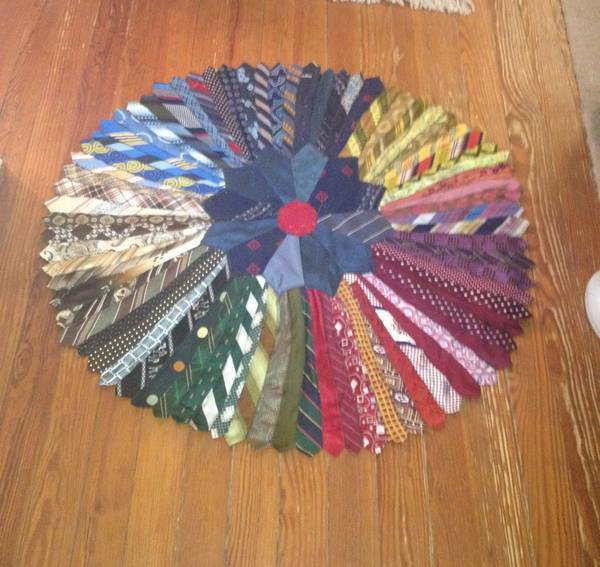 That is a lot of ties. Holy cow! I've never heard of this idea, can't wait to see how it turns out.